Police brutality refers to the intentional use of excessive force towards the citizens by the police force (Chaney, Cassandra, and Ray, 2013). The excessive force may cause psychological or physical harm. Cases of police brutality have been witnessed in several countries all over the world. 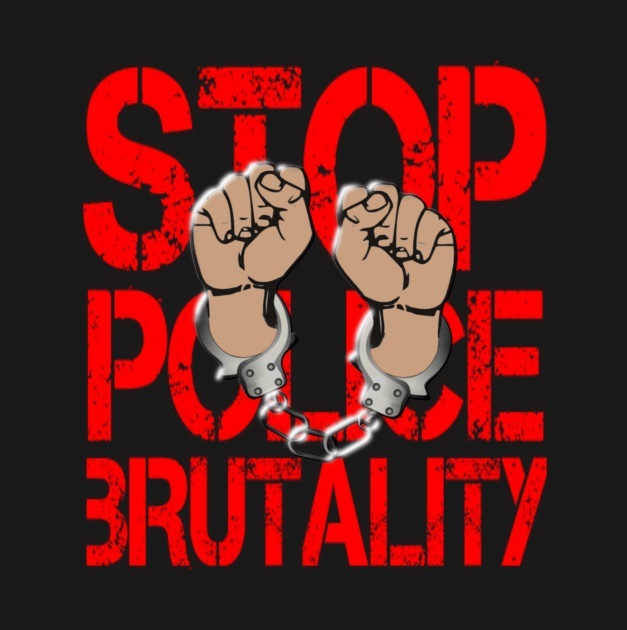 There are various forms of police brutality including racial profiling, police corruption, sexual abuse, false arrest and political repression (Chaney et al., 2013) Majority of the people who are affected by police brutality are the vulnerable members of the society. In most cases, the poor, elderly and the weak suffer the consequences of police brutality (Holmes, Malcolm, and Brad, 2008). In the United States, cases of police brutality are liked to racial segregation. The police force rules and regulations allow police officers to apprehend suspects and protect themselves while discharging their duties. However, some police officers have used unreasonable or excessive force in controlling situations in the course of their duties. Police brutality violates the constitutional rights of the suspects. It is a phenomenon that should be stopped. This paper will discuss police brutality in the society and the possible remedies. Cases of police brutality among the vulnerable groups are not new. The most affected groups include the poor, elderly, women, drug addicts, and women (Chaney et al., 2013). The amnesty international has reported several instances of police brutality among the vulnerable population. The police officers have been accused of sexual harassment, routine beatings and bribes from the vulnerable groups. Ethnicity and race have been recorded as the primary causes of police brutality among the vulnerable population (Holmes et al., 2008). The suspects have been subjected to beatings and other forms of punishment such as shooting electric shocks. The Hispanics, Latino and the African American population are the primary victims of police brutalities. They experience police brutalities than the whites. In several states in the US, police believe that the black populations are prone to commit criminal activities than the whites (Chaney et al., 2013). This is a misconception that has caused a lot of suffering among the blacks. Racial profiling is another factor which has enhanced police brutality in the USA. Criminal behaviors of individuals are linked to their races (Chaney et al., 2013). The black drivers in the United States have been accused of criminal offenses without valid reasons. It is a form of a racial profile which has affected black drivers. They have become subject to police scrutiny. Several of them have been pulled over by the police for no apparent reason. Most of them are believed to be drug traffickers or criminals. On the other hand, the Arab Americans have also fallen victims of police brutality since they are associated with terrorists. Racial profiling is a false assumption that has made the police to inflict injuries to innocent Americans because of their race (Chaney et al., 2013). For instance, the Black Lives Matter movement was formed by the social media users to protect African American from incidents of police brutality. This followed an incident where a 17-year-old African American Trayvon Martin was shot by a police officer who was guarding a gated community. Several groups have held protests and demonstrations in the streets of various states in the USA to condemn police brutality based on racial profiling. Over the past centuries, police officers have used excessive force to brutalize people in the United States. Several people have endured the wrath of police brutality in different ways. Police have used excessive force that has resulted in shootings, assaults, and beatings (Chaney et al., 2013). In history, police brutality has been used to suppress the black people. However, it is considered as a federal crime. The brutality has been meted on the black people to deny them certain powers and privileges. Police brutality and racial violence have been used in the past to subject African Americans to slavery (Holmes et al., 2008). Besides, they were paid low wages compared to whites. The whites steal their land and other valuable resources from the black people. In addition, police brutality was used by the previous regimes to maintain social control. The past regimes were evading conflicts in social and political life. Besides, they never wanted competition in employment. Police brutality was also used to eliminate the blacks from the whites. It was a strategy used by the past regimes to unite the whites from different social classes and ethnic backgrounds. Police brutality was used to instill fear among the blacks to prevent them from taking an active role in politics and demanding social justice. It was used to make the blacks to be subjects and heed to every instruction authorized by the white (Holmes et al., 2008). Therefore, police brutality is not news to most Americans especially the African Americans. They have faced the wrath of police brutality since they are considered to have criminal behaviors as opposed to the whites. The practice of police brutality has caused intense hatred towards the whites in the United States. Police brutality has seen police officers violate civil and human rights of the minority groups in the USA (Chaney et al., 2013). In the recent years, police officers who have committed such offense have not received punishment for their actions leading to a national outcry. The minority groups especially the Latino and young American Africans have faced worst consequences of police brutality (Holmes et al., 2008). According to the American law, the Civil Rights Act protects people who have been wronged by the state law officers. However, the police have implemented such provisions partially. Young minority groups have been pulled out of the luxuries cars by uniformed officers without committing any traffic offense (Chaney et al., 2013). In most cases, the police assume they are criminals or drug peddlers. African Americans and the Latinos are fond of driving luxury or historical cars. They have become the primary targets of police brutality. The white police officers harass them without a valid traffic offense. Police brutality is also common in prisons. The prisoners are mistreated because of violation of simple prison rules. They are not allowed to express their rights. In this regard, police brutality surpasses their freedom of expression which is a constitutional human right. According to amnesty international, the main targets of police brutality are the African American and the Latinos. They are meted with deadly force and verbal persuasion which puts their life in danger. Police brutality is associated with stress and racism (Holmes et al., 2008). Some police officers have negative feelings towards who treat them with disrespect. Besides, some races, religions, and sexes have a negative attitude towards police officers. In this way, they tend to use excessive force while dealing with these groups. In addition, work overload and poor working conditions contribute to stress. Police officers who are stressed are likely to use excessive force while dealing with suspected criminals. In this regard, various measures should be implemented to mitigate cases of police brutality. Police officers should work together to eliminate police brutality. The police administrative organs should discard laws that provide for strict punishment to officers who are found guilty of using excessive force towards the citizens. The police administrative units should form citizen review boards to gather their opinions concerning the definition of excessive force and the accepted police conduct. The police department should develop structures that provide a healthy working environment for police officers. They should set efficient reward strategies that work towards motivating the police workforce (Chaney et al., 2013). In addition, the recruits who are joining the police force should be screen thoroughly. The police department should conduct a background check to determine their criminal records. The police training should encourage them to apply the law without impartiality. The members of the public should also be engaged to help the police department to identify cases of police brutality. They should be educated on various ways of identifying cases of police brutality. In conclusion, police brutality is a social evil that still presents in the society today. 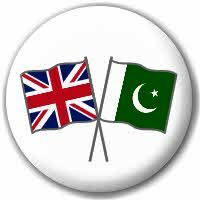 Ethnicity and racism are the main factors that have fostered this menace in the society. Police brutality affects the minority groups where police officers use excessive force to apprehend the suspects. The police officers should not use race as an evidence of a crime. The government, police department and the public should work in unison to end this vice in the society. Chaney, Cassandra, and Ray V. Robertson. “Racism and police brutality in America.” Journal of African American Studies 17.4 (2013): 480-505. Embrick, David G. “Two nations, revisited: the lynching of black and brown bodies, police brutality, and racial control in ‘post-racial’Amerikkka.” Critical Sociology 41.6 (2015): 835-843. Holmes, Malcolm D, and Brad W. Smith. Race and Police Brutality: Roots of an Urban Dilemma. Albany: State University of New York Press, 2008. Print. Tags Police Brutality Police Brutality In The United State Police Brutality In The USA Police Brutality In United States What is Police Brutality?